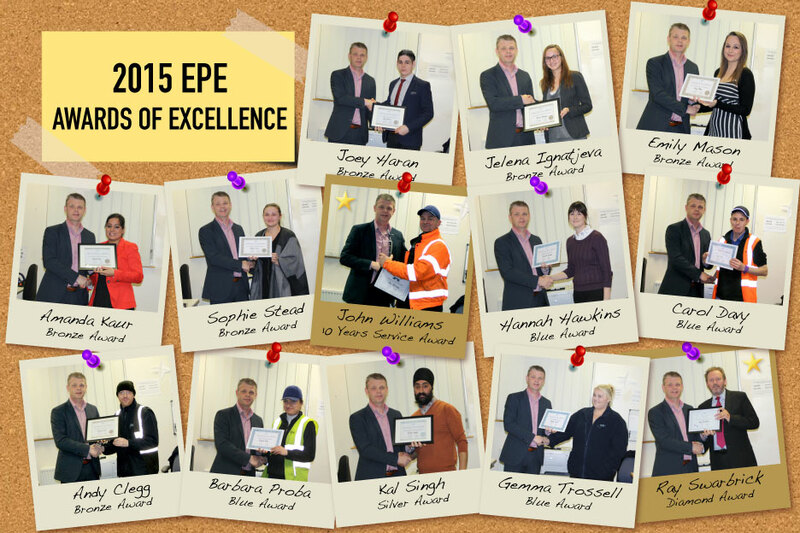 As we come to the end of 2015, it was that time of year again to continue our commitment to our staff and host the 2015 Awards for Excellence. With Christmas now only days to go, don’t forget to get your last minute orders in! Whether you’re looking for a high-grade blender that will bring you professional-style cooking to your kitchen, or a budget blender to blitz the fruit and veg, which? rounded up the top 5 that impressed in their tests. The handy kitchen gadget is ideal for whizzing up soups or even a smoothie to help get your five-a-day. 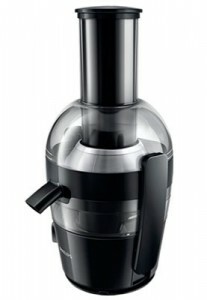 This professional grade, square jug blender excels at making all types of smoothie. Unlike many it copes well with the tougher tasks of blending veg and nuts. It also blends pesto (a drier mix) well. It’s easy to use, easy to clean and does a good job with all tasks apart from crushing ice cubes on their own. It does a good job of crushing ice as part of a smoothie though, and comes with an eight-year warranty. 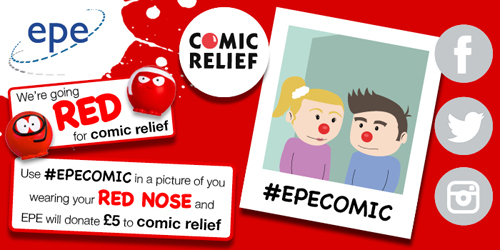 Brand managed and distributed by EPE in the UK! 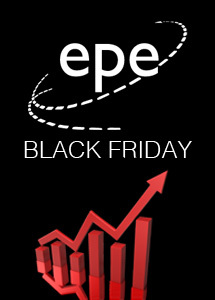 The run up to Black Friday saw phenomenal growth with EPE receiving high volumes of calls for the latest and best offers available in The Buyer’s Choice. 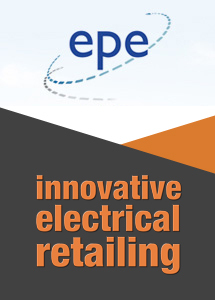 EPE were also able to offer their customers a range of products available only from our internal sales team, as well as the numerous email campaigns sent out to customers highlighting the best picks for Black Friday. 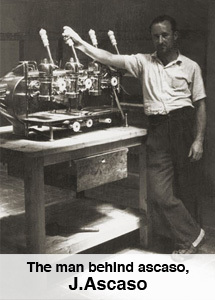 It was recognised that the smaller scaled retailers were enabled to compete with the majors not only with the offers available, but the support from EPE with all black Friday orders being despatched together, helping to ensure that the market didn’t become flooded with the products & deals on offer before the big day. Our sales reps and internal sales team were kept busy with the high influx of orders, this influx of orders didn’t stop our distribution team hitting their targets ensuring that all order were received ready for Black Friday. It’s a thank you from us and a thank you from them. With cafe culture now becoming a part of everyday living and the ability to have fresh coffee at only a flick of the switch, the coffee market is proving to be full of beans. 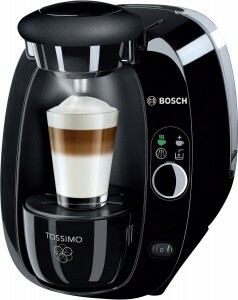 The Telegraph have rounded up the best 10 coffee machines available on the market today. Featured in the top 10 was the Bosch TAS2002GB (Available from EPE). This sleek black machine has the ability to make over 35 varieties of drinks, from lattes and macchiatos to hot chocolates and tea. 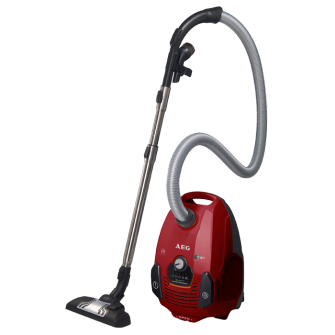 As well as being a high quality machine, it also proves to be very low maintenance with its automatic cleaning and descaling program. Not forgetting the 1.5L water tank, meaning that you don’t have to fill the machine too often. Having recently carried out their rigorous product testing, the Good Housekeeping Institute have released the verdict on the kettles they tested. Out of the 72 kettles involved in the tests, 16 of them are products EPE supply. 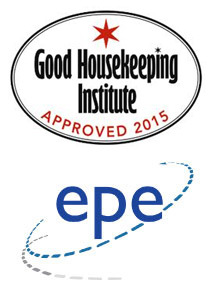 Find out how the 16 kettles EPE supply faired in the testing below. The number of households owning juicers, blenders and ice-cream makers has doubled in the past five years as health conscious consumers create more food and drink from scratch, research from the Energy Saving Trust suggests. More than a fifth of households now own electric juicers and smoothie makers and one in ten now owns an ice-cream maker. Coffee machines have also risen in popularity and are now found in 45% of households, up from 28% five years ago, the EST said. And in a possible sign of the Great British Bake Off effect, more than half of households now own a food processor, up from about a third fiver years ago. Russell Hobbs has identified that in a small batch of their white plastic 850ml travel kettles, model number 14178. The defect may cause the switch in the handle to overheat and in certain circumstances could result in a fire. 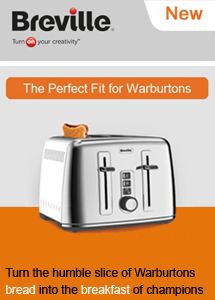 Russell Hobbs has made the decision to recall the model in question. All other date coded stock of the above model is unaffected. The model number is located on the underside of the kettle where you will find a rectangular shaped label containing various product manufacturing information. If you have one of the travel kettles listed above, you will also need to check the batch number (as shown on the below image). If your batch no. starts with 280 through to 365 and ends with 14 or starts with 001 through to 240 and ends with 15, then you have an affected kettle. If you have stock of the affected models 14178 purchased from EPE international in your retail outlet or warehouse, please contact EPE International returns on 0844 800 8055 or returns@epeinternational.com to arrange uplift and credit. End users who have an affected kettle should be advised to stop using it immediately and to telephone the Russell Hobbs customer service department on Freephone 0800 307 7616 (or 0333 103 9663 if calling from a mobile) who will advise on how to return irons for a replacement or full refund of the purchase price. No other Russell Hobbs products or kettles outside of the above codes are affected by this recall. One of the great perks of working with a great company that produces the “world’s most advanced blender” is that we get to partner with great companies and even some of the most elite athletes! 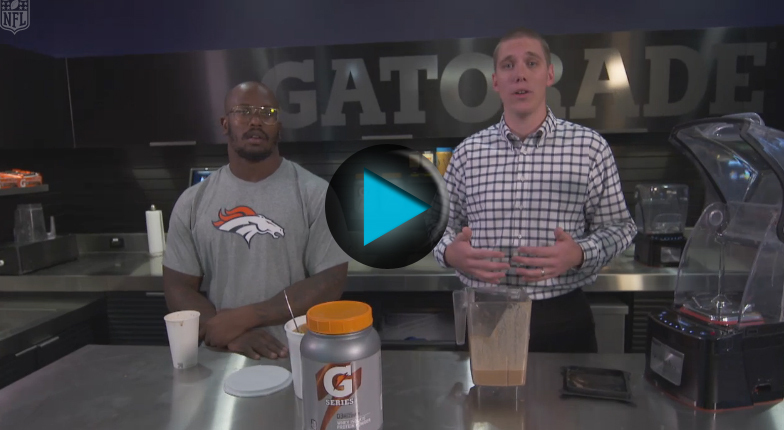 Last month Blendtec announced a partnership as the Official Blender of the Gatorade Fuel Bar, and just this week NFL UP featured Denver Broncos All-Pro Von Miller getting his smoothie on at the team’s Gatorade Fuel Bar using Blendtec blenders! Small appliance distributor EPE Group has reported that its recent appearance at the Autumn Fair reaped rewards, after it increased its investment at the NEC-based show, exhibiting in two halls for the first time. The Bradford-based supplier of branded premium small domestic appliances and floorcare was present in Hall 1, the volume gift and home hall, and Hall 3, the table and kitchen hall. 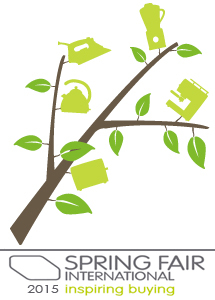 Brands featured on the two stands included Bissell, Blendtec, Braun, Bosch, Daewoo, De’Longhi, Kärcher, Kenwood, Philips, Russell Hobbs, Tefal and Zanussi. 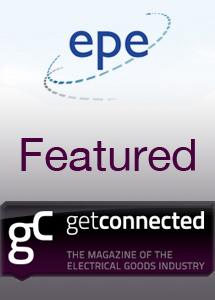 EPE Group has heralded its recent appearance at the Autumn Fair as a success. The distributor of branded premium small domestic appliances and floorcare increased its investment at the Autumn Fair at the NEC, as part of its drive to recruit new retailers, which paid dividends for the company, EPE says. For the first time, EPE Group exhibited in two halls of the NEC-based show; Hall 1, the volume gift and home hall; and Hall 3, the table and kitchen hall. the two will work with the owner directors to assist in the key account management, which will offer the extra support and allow the continuing growth in Sales, customer service and not forgetting investing in UK and its brands. 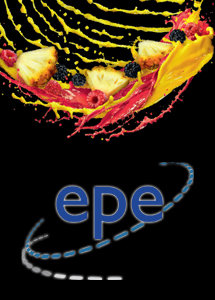 EPE group are also offering graduate positions within their company portfolio for all departments…. Investors for the future! 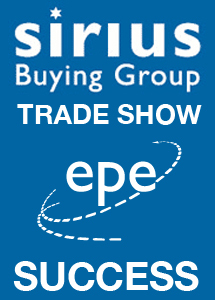 EPE had another successful appearance at the Sirius Trade show on the 23rd of September at the Marriott Forest of Arden Hotel in Meriden. EPE are always happy to appear at these shows and are looking forward to appearing again and having the chance to meet with customers again. click ‘more’ to see pictures from the show. EPE had another successful appearance at the Home Hardware Autumn Trade show on the 23rd of September at the Silverstone Circuit in Northamptonshire. 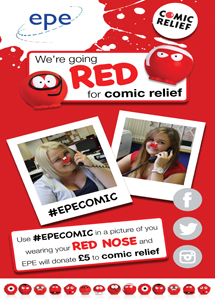 EPE are looking forward to appearing again at the show and having the chance to meet with customers again. EPE are delighted to announce that this years NEC Autumn Fair was another huge success and it was a pleasure to see so many customers, new and old in Hall 1 and Hall 3. EPE dominated the show with premium branded products and competitive prices on many products from our portfolio. 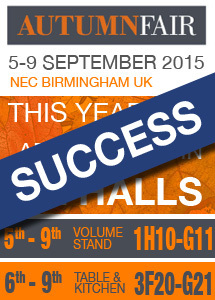 Sales are up on last years Autumn Fair showing promising growth into the final quarter of 2015. 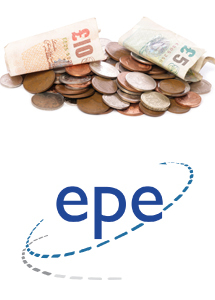 EPE look forward to seeing everyone again next year when they will return bigger and even better with range expansions and more competitive prices. EPE are returning to the autumn fair this year Exhibiting form the 5th – 9th September, with more products and a bigger presence. 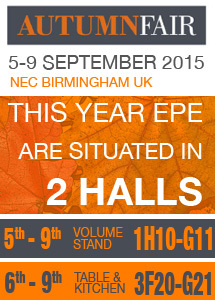 This year sees EPE taking a different and completely new approach to last year, exhibiting in 2 Halls on 2 new stands. 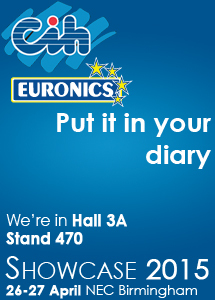 One in the Volume Hall – stand 1H10-G11 & one in Hall 3 – stand 3F20-G21. This new investment shows EPE working with Focal Exhibitions to create truly bespoke stand designs. Focal Exhibitions have worked with some big names at the Autumn Fair in previous years. EPE again making further growth with in the SDA market with more contributions coming from brand partnerships following the additions of Bissell and Blendtec to the EPE portfolio. it is with partnerships like these and working closely with the brands that help EPE to create and maintain the dominant presence in the SDA market and at exhibitions like the Autumn Fair. 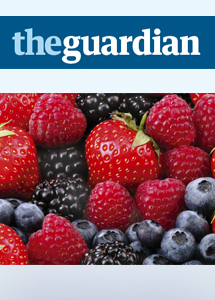 It is the liquidiser revolution that is changing what we eat: sales of blueberries and raspberries are soaring as health-conscious shoppers embrace smoothies as a short cut to consuming one of their five portions of fruit and vegetables a day. Demand for blueberries is up by nearly a third this year, while raspberry sales are ahead by 20%. Their popularity has been supported by the engineering of robust new varieties that survive the trip from field to fridge in a better condition. Online sales of electrical and electronic goods have been growing steadily over the past few years, and consumers have been just as inclined to purchase a toaster online as they would a new suit and tie. Today, Mintel has revealed the prediction that the former will finally surge ahead of apparel and accessories in 2015. Sales of electrical and electronic goods are predicted to take a 29% share of online sales in 2015, with sales of £12.6bn forecast, up from £10.7bn in 2014. As a result, sales of these products online are expected to inch above online fashion sales for the first time. Whilst sales of clothing and footwear hit £10.7bn in 2014, this is expected to rise to £12.4bn in 2015, £190m behind sales of electrical and electronic goods. In 2015, Mintel estimates that half (48%) of all electrical and electronic good sales will be made online, up from 38% in 2013. This is in comparison to 19% of all clothing and footwear sales (up from 15% in 2013) and just 6% of grocery sales (up from 5% in 2013). Whilst just 6% of grocery sales are made online, they are expected to make-up 20% of online retail sales in 2015, with sales of £8.6bn forecast, up from £7.5bn in 2014. Overall, online retail sales are expected to hit £43.3m in 2015, making up 12.7% of all retail sales. By 2020, total annual online sales are expected to rise by 64% to £71.2bn, with these sales expected to make up 18% of total retail sales. Despite taking the second spot in terms of sales, today it is still fashion which is the most frequently purchased item online. Over two thirds (68%) of online shoppers have purchased clothing and footwear online, whilst hard-copy music and books (47%) are the second most popular online purchase. Meanwhile, food and drink (37%), music and video downloads (37%) and electronics (36%) make up the top five most popular products for Britain’s online shoppers. Richard Perks, Director of Retail Research at Mintel, said: “Online is best at selling goods which are bought on specification or where a wide range is demanded – so books, music and electronics. Stores are best for goods where seeing the product is more important or where customers are going to need help in making their choice. One of the great strengths of a store based retailer is that it makes the selection for the customer. Online retailers generally leave the selection to the customer who can then be confronted with a huge choice.” What’s more, it seems that the in-store experience and online purchasing are working in tandem. Mintel’s research shows that internet retail sales made by companies without stores are expected to overtake online sales by store-based retailers for the first time in 2015. Store-based retailers are estimated to post online sales of £21.5bn in 2015, up from £19.4bn in 2014. Meanwhile, internet sales by retailers without stores are expected to hit £21.8bn in 2015, up from £18.4bn in 2014. Despite this, pureplay retail sales are expected to make up just 6% of total retail sales in 2015. Today, over half (53%) of online shoppers say they would like to be able to order goods online and pay for them in-store, while 48% say they use click-and-collect services to avoid paying delivery charges. Despite this demand for the support of a store network, Mintel’s forecast suggests that by 2020 store-based retailers will account for 48% of all online sales, down from 51% in 2014. “For online pureplays the challenge will be to provide the levels of service that store-based retailers are able to offer. We are starting to see some of them open physical outlets but this is likely to increase their costs and further erode the price difference between in-store and online. It could also play into the hands of store-based retailers which already have the multichannel experience to effectively edit an online range for displaying in-store. For store based retailers the distinction between selling online and in-store is becoming increasingly academic as shoppers use them interchangeably. The key for retailers in the future will be to offer as good a service as possible through whichever channel customers want to use at the time” Perks adds. SDA distributor EPE Group has announced the appointment of Nick Lenkowski to the position of national field sales manager. Lenkowski has worked in sales and marketing roles in the UK housewares market for the last 20 years and joins Bradford-based EPE from Addis Housewares, where he was a senior sales manager. In his new role he will look after six regional sales managers. 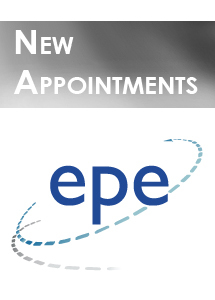 EPE sales director Geoff Eden said: “I am delighted to welcome Nick to the team at EPE, which is growing year-on-year. In other news released today, EPE Group announced it has been appointed the exclusive distribution partner for floorcare brand Bissell. Investment and marketing director Harry Singh said the appointment reaffirms EPE Group’s market position: “We only want to deal with premium brands,” he commented. Distributor EPE Group has announced its position as a ‘one-stop-shop for floorcare’, eight months after setting out its plans to develop its position in the category. EPE Group investment and marketing director Harry Singh said: “Since October 2014, we stated that we were looking to attract floorcare brands that want to take advantage of EPE Group’s structured distribution model. The announcement comes following the addition of Bissell to the EPE Group portfolio, with EPE Group managing director Noel Pamment expressing his delight at the exclusive distribution agreement. 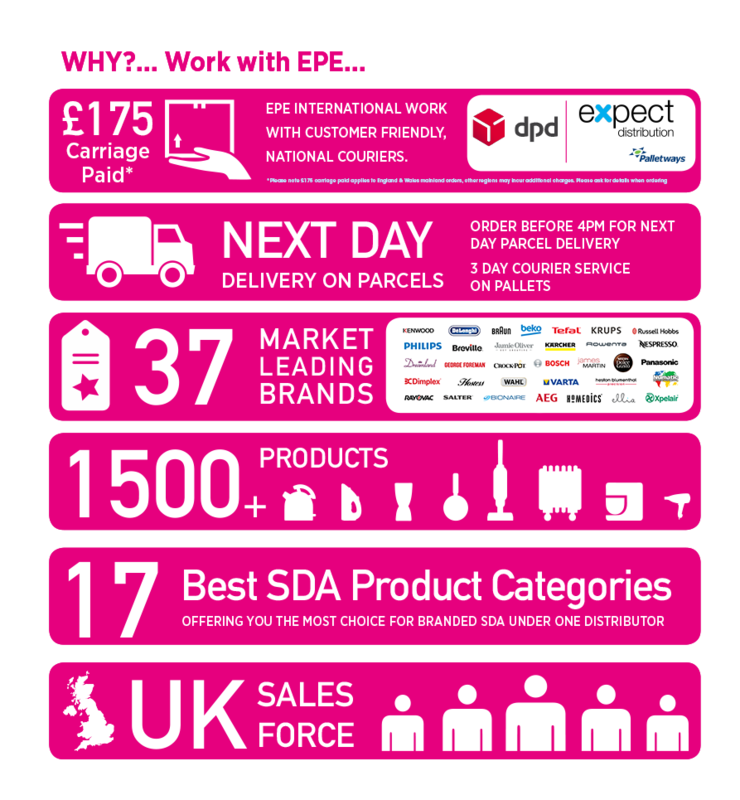 EPE Group, which operates from a 50,000 sq ft warehouse in West Yorkshire, is the exclusive UK distributor for a number of brands including Kenwood, De’Longhi, Kärcher and Philips. 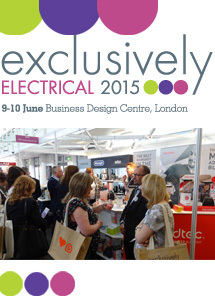 This year was the launch of the show Exclusively Electrical the sister show of Exclusively Housewares. The show ran over the 9th & 10th June at the Business design Centre in London, over the two-day period there was an increase in footfall of visitors at the show compared to last year’s Exclusively Housewares. EPE have been regular exhibitors at the Business Design Centre for a number of years now, with the intention to increase brand awareness for our managed brands. This year EPE exhibited a selection of products from our extensive portfolio allowing brands such as; Ascaso, Bugatti & Graef to re appear, along with showing new items from their ranges for 2015. This year saw the launch another huge managed brand for our portfolio, Blendtec. 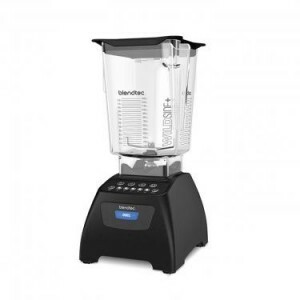 As the name suggests Blendtec is an American company that manufacturers high powered, premium table top blenders for household and commercial use. If you happened to visit the demonstration zone you will have been able to see the Blendtec blenders in action demonstrating their versatility in food preparation with of an abundance of techniques and recipes. 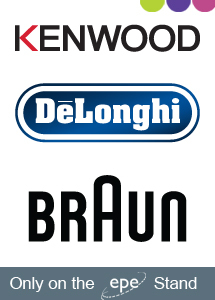 This year we had the pleasure of three of our exclusive distribution partnership brands joining us on the EPE stand, Kenwood, Delonghi & Braun. 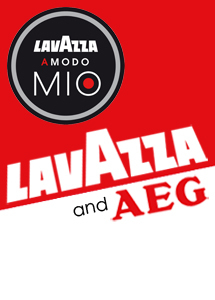 The three brands again exhibiting quality products with demonstrations over the two days. 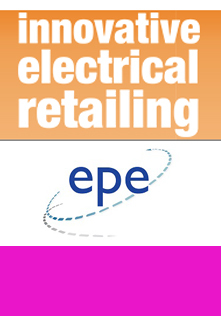 If you didn’t catch EPE at the Exclusively Electrical show then keep checking our news & rewards for up and coming exhibition updates. 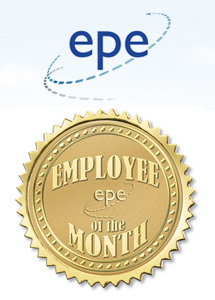 EPE are proud to announce that Sophie Stead & Darren Marsden are this months employees of the month winners. This months winners received a hamper worth £30, filled with alcohol. 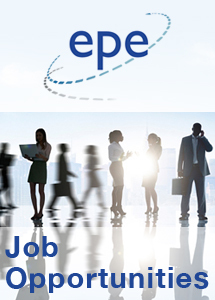 Sales & Development Director Vacancy – A Career with EPE International is a career for life, due to strong and secure growth within our Sales force, we are seeking to continue our expansion by recruiting passionate, hardworking staff to join our professional and esteemed organisation. we truly believe that every person who works here shapes our company and helps contribute to its future. please go to the careers page and submit your C.V. via email. We look forward to hearing from you. SDA distributor EPE Group has appointed Andrew Size as to the role of Brand Sales Manager. Size brings experience of the SDA market to the Bradford-based company, having previously worked for Spectrum Brands Limited managing the Russell Hobbs and George Foreman brands. EPE International, the leading distributor of branded small domestic appliances, has reported that the CIH – Euronics Showcase was a another successful event, as the company looks to build on the progress it has made in the independant retail sector. 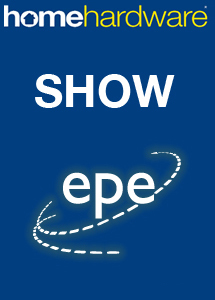 At the Showcase, EPE staff were on hand to talk members through the different brands. 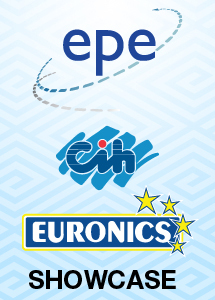 Our message to CIH – Euronics members is quite clear – EPE has a great portfolio of branded small domestic appliances and wants to work with you. EPE GROUP, the UK’s leading distributor of branded small domestic appliances, has made three key appointments as it looks to grow its business. Andrew Size, Brand Sales Manager comes over from Russell Hobbs bringing experience of the SDA market. Mark Dunn, Key Account Manager brings his experience from Minky and Mamas & Papas. Jamie-Leigh Cowman has also been appointed as Customer Service Manager. 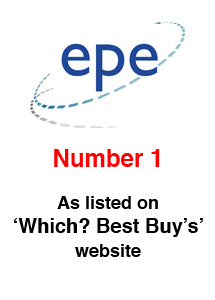 Harry Singh, EPE’s Group’s Investment and Marketing Director, said: “With a strong portfolio of branded small domestic appliances, EPE Group is looking to grow its business. purchase any new Nespresso cappuccino machine between 26th March 2015 and 10th May 2015. T&Cs apply. Original till receipt required. 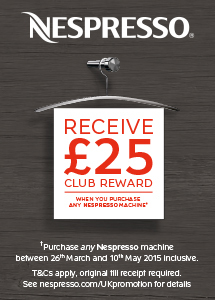 See nespresso.com/UKpromotion for details.